Some people discover past lives out of curiosity, while others seek the past to find answers for unresolved issues. You can learn how to remember your past lives by using one of several past life recall techniques. As interest has grown in the paranormal, so too has the idea of past lives taken root in the consciousness of many people. 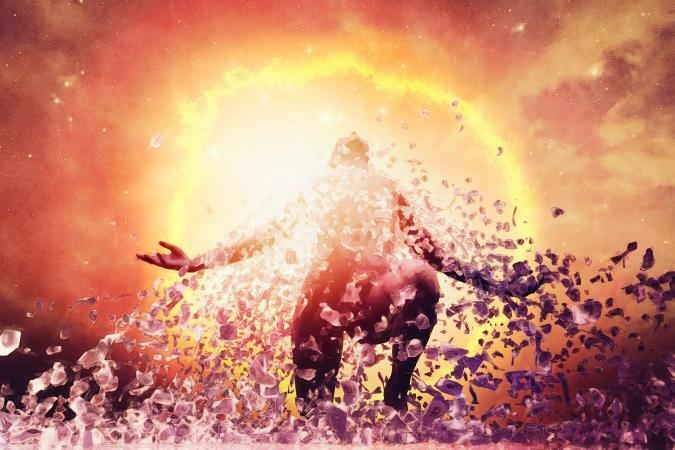 If you're curious about how to discover past lives, there are several ways you can study past life theory and find out more about your own potential past lives. Begin by researching past life theories. Many Lives, Many Masters by Brian Weiss is one of the quintessential books on the past life theory. These books will help you understand many aspects of past life regressions and spontaneous recall of past lives. Past life regression is a form of hypnotherapy in which subjects are guided through their memories to times past in order to recall past lives. If you decide to try past life regression, find a qualified and licensed past life regression hynotherapist. Check out his/her credentials and ask for references. A dream journal is a diary or journal in which you record your dreams. Everyone dreams each night, whether or not the dreams are remembered. The more you record your dreams, the easier it will be to remember them. Many experts in past life theory believe that somewhere deep in your mind is the record of every life you have ever lived. Analyze your dreams for clues about past lives. Does a certain time period or era show up frequently? Certain characters? These may indicate past life information seeping into your dreams. Feelings of déjà vu may be a clue that you actually have been someplace before in a past life. Other clues include a strong affinity for a particular culture, time, place or epoch. Your past lives may actually be calling to you through your love of collecting samurai swords! If you've tried these methods to access past life information and retrieved what you think is valid information, see if you can verify it. For example, if you believe you were a soldier in the Union army during the American Civil War, can you verify any details from your dreams or past life recall, such as names, places, battlefields or even small details such as food or clothing? The more you can verify details, the greater the chances are that such a dream is actually a past life memory and not just a memory of something you have learned or wishful thinking. Certain cultures believe that after death, the soul moves into a period of rest. When it is ready for its next life lesson, it is reborn. Experiences in life are based on karma, the accumulation of life's good and bad deeds, your personal characteristics and your responses to circumstances. Karma can be worked out over many lifetimes; it isn't necessarily true that bad deeds are punished right away and good ones rewarded quickly. According to reincarnation theory, sometimes the soul must wait through many lifetimes before the right circumstances occur so that karmic tendencies can be worked out. Although the concept of past lives is found most often in Asian cultures, especially India, the American psychic Edgar Cayce provided reincarnation information during his famous readings. Cayce would fall into a trance to provide readings for people, including the state of their health, causes of disease and more. Later on in his life, Cayce provided information about people's past lives and past history. Of course, much of what he reported cannot be proven, but it is fascinating to read through the transcripts of the readings and follow potential karmic causes and events in each subject's past lives. Occasionally, a past life recall brings up unpleasant or painful memories. If something haunts you after a past life regression therapy session or while you try to discover past lives, don't hesitate to seek counseling or professional help to deal with the emotions it brings up. Lastly, unless money is no object, be very careful with psychics and others who charge by the hour for past life therapy work. Although some psychics are legitimate, others are con artists and will try to string you along. They promise to clear karma, show you past lives and more, but each time they want more and more money. Never give such people any personal information or credit card information. It's safest to try on your own first through dream journals, research, and other techniques, or with a licensed hypnotherapist.